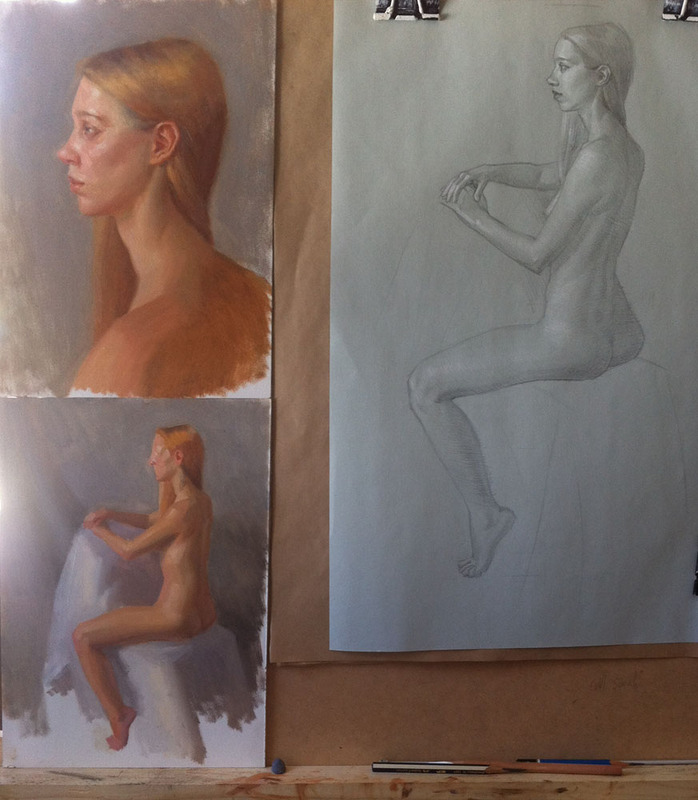 Isabelle and I had a full 5 days of Life drawing and painting at my studio. We hired an amazing model that sat incredibly still and was totally patient and understanding of our needs as figure painters. Here are the studies I created in the 5 days. There should be enough information for me here to turn this into a bigger painting at a later date. So many other things to work on at the moment so this will have to be put on the back burner!